In the election for 2nd District Orange County Supervisor, Michelle Steel announced the current cash on hand numbers for her campaign. With 4 days still to go before the June 30th report deadline, Michelle Steel announced having over $530,000 dollars already in her campaign account. The final cash on hand numbers will be released sometime during the month of July per election law and covers all campaign finance from the first of the year. As well as already receiving many notable endorsements, Steel’s impressive cash on hand number is exciting news for the campaign. The growing list of endorsements includes U.S. Representatives Ed Royce and Dana Rohrabacher, District Attorney Tony Rackauckas, Sheriff Sandra Hutchens and former Assemblyman and Orange County Supervisor Jim Silva. 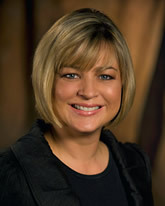 Michelle Steel currently serves as the Vice Chair of the California State Board of Equalization representing the 3rd District, which includes Orange County. HH: June 27th, 2013, Congressman John Campbell is in studio with me at 34 minutes after the hour live. He’s back on the West Coast, and about to make a little bit of news, Congressman Campbell. Tell people what you told me. JC: Okay, let me, wait a minute, is my microphone…there we are, hearing the feedback. You know, Hugh, eight years ago almost to the day, I’m not sure exactly what day it was, but it was in June, eight years ago in 2005, I sat at this microphone with you and announced that I was going to run for Congress for the 48th, which I’d originally said I wasn’t going to do, and said on this show about a week before, and then you and others changed my mind and I ran, and am now in my fifth term in Congress. Well today, I’m reversing the bus a little bit. And today, I’m announcing that I will not seek reelection for a sixth term in 2014, and that in fact, I’m going to retire from Congress at the end of this term in another 18 months. HH: Now when you told me this a couple of days ago, I was absolutely shocked, because you’re the chairman of a powerful subcommittee on a very powerful committee, you are 58 years old, you are in good health, but you have great reasons, and they are reasons that go to living a genuinely significant, happy and good life. Would you explain those to people? HH: Undefeated, untied as we say in the business. JC: There we go. Just, it’s kind of like a USC football team. HH: No, not really, because you’re not on probation. JC: Yeah, yeah. Oh, no. Wait, okay, anyway, you know, it’s just time for me. You know, when…I’ve got various personal issues. I’ve actually missed some time in Congress in the last month, and will probably miss a little more, because I do have some issues that might require surgeries in my knee and my hip. JC: They’re not chronic, they’re not bad. HH: You’re going to be bothering me for years with USC crap. I’m not worried, I’m not weepy. JC: No, no, there’s nothing like that, but there’s some things like that that enter in, your kids, your family, various different things. I still have a business outside of Congress and so forth. And if I’m not able and there to give absolutely everything to this job, then I should, then I need to think about other things. HH: Now you know what my reaction was, and I’ve known this for two days, is that this is an extraordinarily healthy thing that I wish many other Beltway people will listen to, that it’s not the end of the world to give up your job in D.C. where you have power and influence to go do something significant with the rest of your life. You’ve been very successful in business. You’re very much revered in your community, you have a wonderful family. The Captivating Mrs. Campbell is great, I know your boys. Your business, whatever you choose, we’ll talk about what you’re going to do next later. But how healthy, and this is just so rare. I mean, what did the leadership say when you told them? They must be stunned. JC: Yeah, I told them yesterday, and I think they were surprised, but they understand, and they understood I’m not a lifer. I’ve never been, and although Generalissimo Duane is always talking about my going Beltway, I can safely say I never did that, and that my life was never in Washington. My life was in California, and here and now, increasingly in Kansas. But it’s, yeah, there are a number of my colleagues who can’t imagine walking away from the title, from the prestige, from the power, from the fawning that people who are interested in your voting card, and what you might be able to do with it, that they give you. But that’s never been what it’s about for me. It’s always been about just using the talents God gave me. JC: And this is, by the way, as a Christian that you know that I am, this is something that involved a great deal of prayer over the last few months. More on this story next week. Anaheim Councilwoman Kris Murray held a re-election kick-off fundraiser yesterday evening at the Diamond Club at Angel Stadium. The event was attended by 175 people ( a mixture of community and business leaders, her three council colleagues, former Mayor Curt Pringle and a variety of others) and raised at least $90,000. That is a huge amount to raise at a single political event in Orange County, even more so when you consider it is for an election that is about a year-and-a-half away. Murray has held together her victorious 2010 coalition, which if anything is now stronger and broader. To put the blow-out success of this fund-raiser in perspective: during her first (and winning) city council run, Kris Murray raised a total of $114,000 for all of 2010. Yesterday, she raised 78% of that in a single night. With a few days left in the reporting period, she could possibly break the $100,000 mark – and that still leaves 15 fund-raising months between now and November 2014. There are two council seats up in November 2014, held by Kris Murray and Gail Eastman. For all the howling from the peanut gallery and the media focus on the demands of vocal, organized factions (of which part of the leadership hails from outside Anaheim), Murray and Eastman are strongly positioned to be re-elected. Despite the claims of some gadflies to speak for “the people of Anaheim,” their divisive, class- and race-based rhetoric is not appealing to the great majority of Anaheim’s citizens. When the rubber meets the road next summer and fall, Kris Murray and Gail Eastman will be able to communicate a record that will lead Anaheim voters to reward them with a second term. The Cypress election was not a very close one. Take a look at my post previewing the race by clicking here. 55th AD Watch: Another Candidate Dual Run? We reported last month about Diamond Bar Councilwoman Ling-Ling Chang flirting a run for two offices: City Council and State Assembly. OC Political learned that Diamond Bar Councilman Steve Tye who is up for council re-election this November is flirting a run for State Assembly in the 55th AD in 2014 as well. Pols should learn not to answer a question with a question. Now, it begs the question: Why are pols bringing out the yardstick and the crystal ball? Candidates should learn that running for office doesn’t allow you to use two lifelines as if running for public office is a game show. I meant to post this at some point (oops, forgot). 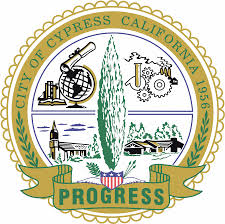 The City of Cypress is hosting a special election tomorrow on a property issue. Since it is a special election, voters will most assuredly not rush out to the polls to vote on this. I am not a degenerate gambler but if I had to play the role of Vegas odds maker on this one, the over/under would be at 20% turnout. 1. Amend the Specific Plan. The amended Specific Plan would (a) reduce Planning Area 1, which is part of the former Cypress Golf Club, from 35.7 acres to 5.0 acres, (b) create new Planning Area 10, which consists of 30.7 of the 35.7 acres of the former golf course and (c) create new Planning Area 11, which consists of 11.2 acres of underutilized land within the Los Alamitos Race Course property that is currently part of Planning Area 8. This land is currently located in the PS-1A (Public and Semi-Public) Zone, which, as set forth in the existing Specific Plan, permits uses such as hospitals, cemeteries, churches, public buildings, schools and colleges. The amended Specific Plan would expand the allowed uses (d) in modified Planning Area 1 to include most commercial uses permitted in the CN (Commercial Neighborhood ) Zone and several additional uses permitted in the CG (Commercial General) Zone, (e) in new Planning Area 10 to include most residential uses permitted in the RS-6000 (Single-Family) or RS-5000 (Single-Family) Zone (RS-5000 homes would be allowed in 50% of Planning Area 10 with a conditional use permit), and (f) in new Planning Area 11 to include most commercial and business park uses permitted in the CG (Commercial General) and BP (Business Park) Zones. The amended Specific Plan would also update text, figures and graphics in the document. 2. Amend the General Plan. The initiative measure would (a) amend the Cypress General Plan to change the land use designations for the 46.9 acres within Planning Areas 1, 10 and 11 from “Community Services and Facilities (Golf Course (Privately-Owned))” (35.7 acres) and “Community Services and Facilities (Race Track (Privately-Owned))” (11.2 acres) to “Specific Plan” and (b) amend text in the General Plan to conform to the amended Specific Plan. 3. Amend the Zoning Map. The Cypress Zoning Map would be amended to change the zoning designation for the 46.9 acres within Planning Areas 1, 10 and 11 from “PS-1A (Public and Semi-Public)” to “PBP-25A (Planned Business Park)”. A “Yes” vote means you support amending the Specific Plan, the Cypress General Plan, and the Cypress Zoning Map in the manner set forth in this initiative. A “No” vote means you oppose amending the Specific Plan, the Cypress General Plan and the Cypress Zoning Map in the manner set forth in this initiative. This measure would take effect only if a majority of those voting on the ballot measure cast a “Yes” vote at the June 25, 2013 special election. The above statement is an impartial analysis of Measure A. If you desire a copy of the measure, please call the Cypress City Clerk’s office at (714-229-6683) and a copy will be mailed at no cost to you. This initiative would modify the zoning for two parcels of land in the City of Cypress, a 35.7-acre parcel that borders Cerritos Avenue and was part of the Cypress Golf Club that closed in 2004, and an 11.2-acre parcel near the Los Alamitos Race Course between Katella and Cerritos Avenues. The current zoning for this vacant or underutilized land only permits uses such as hospitals, cemeteries, churches, public buildings and schools, which generate little revenue for the City, discourage the development of job-creating uses near the City’s primary commercial corridor and preclude single-family housing right across the street from an existing single-family neighborhood. Measure A would expand the allowed uses on the 35.7-acre parcel to include single-family housing on the western 30.7 acres and neighborhood commercial on the eastern 5.0 acres, and permit commercial, warehousing and light manufacturing uses on the 11.2-acre parcel, all consistent with the existing uses in the area. A September 2012 fiscal report commissioned by the City concluded that eventual development of the property would generate $412,000 in annual net revenue to the City and generate 354 permanent jobs and 141 construction jobs, with constructed-related expenditures of $32 million. This initiative does not approve any specific project. It simply allows the property owner to propose additional commercial and residential uses. Any proposed project would be subject to full discretionary and environmental review by the City, like any other project, and would provide ample opportunity for public input. Measure A’s approval would permit the productive use of long-vacant land and generate badly-needed jobs and revenue for the City, while preserving the City’s decision-making authority. Recognizing these benefits, the Cypress City Council adopted a resolution supporting Measure A and encouraging Cypress voters to approve the initiative. As longtime Cypress residents, we urge your support of Measure A. This argument in favor does not have the star power behind it that you normally see when the elected officials/establishment get behind a ballot measure. Anna Piercy is the only current elected official to sign on in the original argument. In 2012, Cypress voters approved Measure L, which rezoned a 33 acre site on Katella Avenue between Cottonwood Church and the Residence Inn to have the following uses: market-rate senior citizen housing, assisted living facilities, professional offices, including medical services, and mixed-use commercial. Unfortunately, the project being proposed for the site is a 725,000 square foot warehousing, light manufacturing & distribution center with at least 129 truck bays. This is not what we voted for! Concerns over traffic, air quality, noise, and safety are significant concerns for our city residents. Can you imagine if the truck bays turn over 3 to 4 times a day? That could mean almost 1,000 more truck trips on our streets every day. Currently, our streets are already overburdened with existing traffic. Do we need to add more? Now with Measure A, Cypress voters are being asked to approve more mixed- use commercial acreage on Cerritos Ave., between Walker St. and Denni St. While Measure A would also rezone property for single- family housing and neighborhood commercial uses, there is no guarantee that it will be built at any time in the future. What we can likely expect is that a mixed-use commercial development will be proposed and based on what we’ve seen so far, it will be more trucks, more traffic, noise, air pollution, and safety issues. Before we approve a zone change, Cypress residents are entitled to know from our City Council specifically what will be approved and built on the remainder of the race track property. Please vote No on Measure A. It’s a bad fit for our city. I am impressed that the folks arguing against the ballot measure got a fancy sounding group to agree to lend their name to the signature section but they screwed up by not filling up all the signatures that they could use. Do not be fooled twice! The proponents of Measure A want us to once again trust the owners of the land near the Los Alamitos Race course. One year ago with Measure L, voters were fooled into thinking they were approving “Senior Housing, Assisted Living, professional offices and something called ‘Mixed-use Commercial” on 33.5 acres near the race course. Our trust was violated with the land owner’s recent proposal to consider warehouse and light manufacturing buildings with 129 semi-truck bays on the Measure L approved property along Katella. Warehouse and light manufacturing in the Cypress Code are Industrial uses! They are not Commercial uses and certainly not Senior Housing! The traffic on our streets and access to our freeways are already bad enough. Jobs are needed but we want good paying jobs with responsible development. With measure A, we are being asked to trust the same land owners to develop more land near the race course. This time the “carrot” dangled before the voters in Measure A is Single Family Housing. Don’t forget, we’re not getting senior housing and assisted living facilities from last year’s ballot measure. We are entitled to know exactly what Cypress land use zone we are voting on and the specific use that fits into that zone. Until then..Do not be fooled twice! Again, they only used one signature space and I noticed that Mr. Wendt did not use a title to identify himself in either statement (I applaud him though, every ballot measure should have somebody at least informing the public on both sides of an issue). We respectfully disagree. Measure A is a very good fit for Cypress. Measure A would not permit ANY new commercial uses on the primary 30.7-acre parcel along Cerritos. Rather, the ONLY new permitted uses would be for a single-family residential neighborhood like the existing neighborhood across the street. The new uses permitted on the adjacent 5-acre parcel along Cerritos would be neighborhood commercial uses, consistent with its smaller size and proximity to the existing and proposed residential areas. It would NOT be used for a manufacturing facility. Measure A simply allows the property owner to propose a residential project and related commercial uses along Cerritos. And any such project would be subject to full discretionary and environmental review by the City, with full opportunity for public input and participation. So, contrary to the opposition’s claim, Cypress residents are NOT “being asked to approve more mixed-use commercial acreage along Cerritos.” This is unsubstantiated fear, not fact. Measure A would allow desirable single-family housing and provide much-needed revenue for the City. That’s why the Cypress City Council UNANIMOUSLY adopted a resolution encouraging Cypress residents to vote in favor of Measure A in the special election on June 25th. We hope you agree. We urge you to vote YES for Measure A.
I don’t know what the result will be tomorrow. Voters are in the mood to say no to most things, but turnout will be dramatically lower than a regular election which can give the Yes on A side a huge advantage if they can turn out their voters. A great example of voters being in the mood to say no is what happened in the recent Los Angeles election. Liberal L.A. voters turned down a sales tax increase!!!!! Following up on Chris Emami’s story from yesterday, as reported by the OC Register today, the Assembly passed AB76, which has identical language to SB71, and will be submitted to Governor Brown for his signature. Every Republican legislator in the Assembly and Senate (except Tom Berryhill – 14th Senate District who is listed as “Other”) opposed both AB76 and SB71, and just a single Democrat voted no for either bill (Senator Leland Yee – 8th Senate District). If Governor Brown signs the bill into law, it will eviscerate the open government protections of the Public Records Act by making local agencies’ compliance with the Act voluntary instead of mandatory. Courts interpreting the Public Records Act have consistently held that the Act is to be read broadly in favor of disclosure of documents to the public, and the Act has only a few categories that are exempt from disclosure (and when a local agency refuses to provide documents, it must explain why). Under AB76, disclosure will be voluntary, meaning that local agencies can refuse to provide documents, and do not have to provide any reason for the refusal. Ironically (or perhaps not when it comes to Democrats and their legislative tactics), AB76 was added as a budget trailer bill. Trailer bills are often drafted in secret, sometimes just days or hours before they are voted on in both houses of the state legislature. You read that right, a bill that allows local agencies more secrecy and less transparency was drafted in a most un-transparent manner. Journalists often use the Public Records Act to sniff out public corruption. The City of Bell scandal was exposed in part by use of the Act, as have many other stories of local government waste and fraud. In addition, private individuals and groups often use the Act to obtain documents needed to challenge local government decisions that affect their property or the environment. If the changes to the Act become law, local agencies who are hiding things from the public will no longer be compelled to produce any documents, and scandals will go unexposed. As Emami said in his story, this is a terrible bill that will have a dramatic negative impact on local government transparency. Democrats apparently believe that secretly passing bills that allow local agencies to act with more secrecy is good government. I hope that most Californians disagree. As Don Wagner mentioned yesterday, Sacramento Democrats have done one of the most rapid u-turns ever (perhaps the nuclear retort from the media inspired them). Wagner reported this afternoon that the Assembly voted today to pass the same budget trailer bill as AB76, but without the provisions that would eviscerate the Public Records Act. While the Senate initially resisted similar efforts, reports are coming out that they will acquiesce and pass a similar bill to the Assembly’s fix. Governor Brown is expected to sign the fix, therefore preserving the Public Records Act in its current form, which is a good thing for all Californians. Wagner also reported that both the Assembly and Senate will propose constitutional amendments to eliminate the state’s obligation to reimburse local agencies for Public Records Act compliance. (Warning, boring political inside baseball stuff ahead). Apparently, when the Legislature ended redevelopment agencies (another measure that crossed the aisle considerably), the local agencies got too cute and started seeking reimbursement from the state for the cost of every minute copy, office supply, etc. that they incurred for compliance with the Public Records Act but previously had not sought reimbursement for. That may have taken the Democrats in Sacramento by surprise but unfortunately their “fix” would have ended open government as we know it in this state. I guess the moral for Democrats is not to target the media’s bread and butter because they actually start doing their job when you threaten the source of their juiciest stories. I would like to return the favor and thank Don for all of his information and for all of the Republicans in Sacramento and their efforts to undo this terrible stinker of a Democratic bill. Stay tuned in case there are even more breaking updates.